Early voting will also be available Early voting continues through November 2nd from 8 a.m. until 5 p.m. each weekday with the exception of Tuesday, October 30th and Thursday, November 1st when early ballots may be cast from 7 a.m. until 7 p.m.
Debbie Shirley reminds voters to, please, when you enter early voting, you will receive a ticket with a code that brings up the correct ballot style for the voter’s precincts on the voting machine. 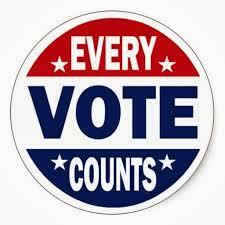 Do not leave the early voting place until you have cast your ballot on a voting machine. You vote will not be valid until you see a flag at the end of your voting time. When you have voted, a review ballot summary will appear. Pressing the button to verify the summary will then bring up a second verification, “Yes, I want to cast my ballot.” When you have pressed that button, a flag will appear than that will verify to you that the vote has been counted.